We at Chabad of South Broward join you in hope and prayer as together we approach the new Jewish year of 5779. Together we'll listen to the call of the Shofar, taste the sweetness of the Apple-and-Honey, recommit to G‑d on Yom Kippur. Mesibos Shabbos for boys and girls: Time and location to be announced in Shul on Shabbos. In the late afternoon of Rosh Hashana, the entire community joins together in a proud processional for the observance of \"Tashlich\". Representing the themes of renewal and rejuvenation, this tradition also has a way of demonstrating a spirit of communal solidarity as young and old march and sing together while en route to perform a fascinating mitzvah. 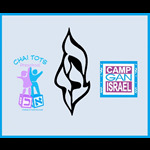 Increase your generosity of Tzedakah (charity) during the High Holiday season. \"Repentance, Prayer and Charity take away the severity of the decree\". The High Holidays is a time when we reflect the past year, and affirm our membership for the incoming year in the Jewish nation. Take a few moments and read some interesting and new handpicked High Holiday features from our site. You’ll find something to share with your family, and perhaps gain a new perspective on the high holidays.